Steve Korniczky is a trial lawyer who focuses his practice on litigating patent, trade secret and other intellectual property cases. Over the past 30 years, he has handled more than 200 patent and other IP lawsuits including suits relating to standard essential patents (SEPs) and worldwide FRAND license obligations in district courts throughout the US, before the International Trade Commission and on appeal to the US Court of Appeals for the Federal Circuit. He has litigated patent cases on behalf of internationally based, publicly traded and emerging companies in many diverse technologies, including wireless communications, CDMA, WCDMA, WiMAX, HSPA, Wi-Fi, GPS, USB and wireless modems, LTE, Video and Audio compression, CDMA2000, Multimedia Messaging Service (MMS), Android Operating System (OS), Internet systems, web-browsers for wireless devices, software, liquid crystal displays (LCD), televisions, IC devices and semiconductor processes, artificial intelligence and fuzzy logic systems, automotive technologies, and medical devices. Steve is registered to practice before the U.S. Patent and Trademark Office, and has significant experience prosecuting patent applications and handling reexamination and IPR procedures. 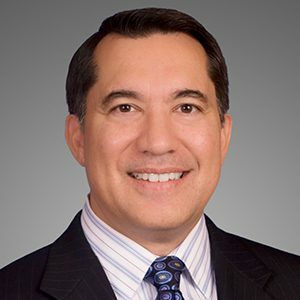 He utilizes his combined prosecution and litigation background to provide strategic counseling to clients on business oriented IP licensing and portfolio development plans. Steve has successfully designed and implemented value-added strategies to raise venture capital, generate licensing revenue, cross-license competing IP and position companies for acquisition.